The holidays are almost here and we could not have closed 2011 without one more stocking stuffer for our end users. Last night we rolled out the December release, the last release for 2011, which was packed with features. Today almost every company is running their applications on scalable and distributed environments, relying on multiple datacenters or farms, each with different IP addresses. Therefore the ability to view performance by the IP address that served the request is very important. Now Catchpoint allows you to analyze the performance data by individual IP addresses over time. The feature will provide with the ability to compare performance across datacenters, pops, or hosts. Zone Alerts: the ability to add alerts on a Zone based on any of the metrics we collect. Waterfall Zone Filtering and Zone Column: the ability to see Zone data in the Waterfall for every Web based test run. User will be able to see for every request the zones the request matched against and the ability to filter by zone. Scatterplot Chart: All Alerts emails will now include a 60 minute scatterplot chart for the metric triggering the alert. The chart will provide a visual representation of the state of the test and the gravity of the alert. 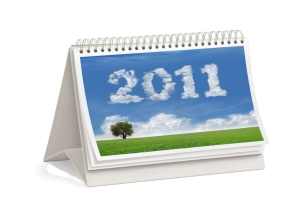 We have already started work on new & exciting features for 2012. Stay tuned! Happy Holidays and Happy New Year from the Catchpoint team!